What's communism, atheism, and free love got to do with it? Find out. Read excerpts from speeches, published works, and interviews conducted for the Reed Oral History Project. Communism, atheism, free love” is not a slogan that would have met with William Trufant Foster’s approval. The fact is, Reed’s founding president did not believe in “isms,” or in labels of any kind. He found them far too confining for his uncompromising brand of intellectual freedom. “Comrades of the Quest,” the motto Foster adopted as Reed’s rallying cry when the college opened in 1911, captured more of the crusading force he had in mind. 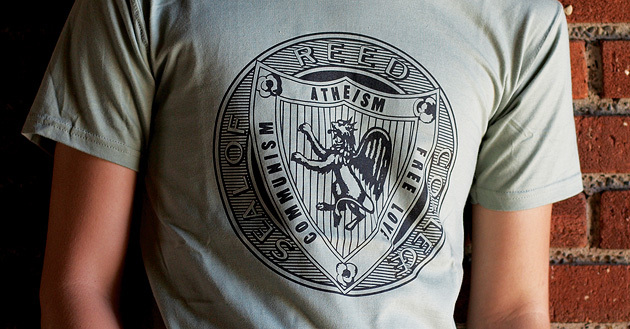 The subversive irony with which the Reed community later appropriated “communism, atheism, free love” as its unofficial slogan (the phrase began as a pejorative slur hurled at Reed in the aftermath of the Red Scare following World War I) also would have been lost on Foster. 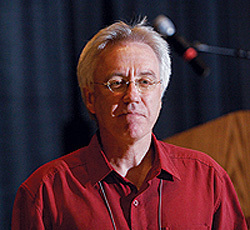 He favored the frontal assault in challenging the status quo. Yet, as with most of the core values and institutional traditions at Reed, the tongue-in-cheek slogan sprang directly from the ideals and practices Foster set down in the college’s first decade. Its staying power over the last century signals a faint echo of the rebellious charge with which Foster founded Reed, and is a cautious reminder of the near-devastating consequences his radical quest had. In 1910, having just completed his doctorate at Columbia University with the progressive educator John Dewey, Foster journeyed West with his young family at the invitation of Reed’s trustees to become the college’s founding president. He was disciplined and ambitious, having advanced quickly through the ranks of academia. Just 31 when he arrived, he was the youngest college president in the nation. T-shirt photo: Orin Bassoff ’04.